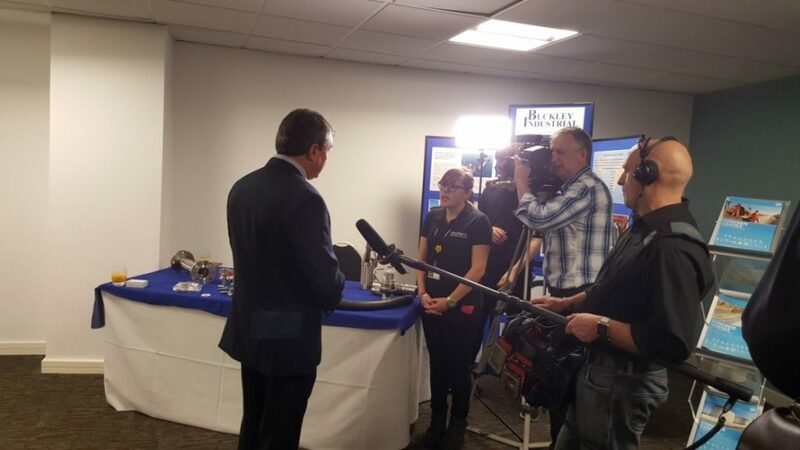 Buckley Industrial Limited was invited to show case it’s exporting experience at the ExploreExport 2015 Event in Cardiff on Thursday 12th November 2015. 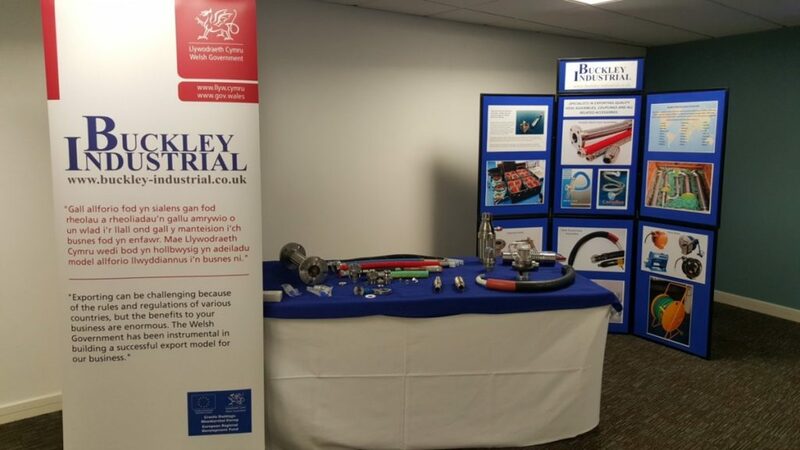 This event was part of an UK Trade & Investment Export week and Buckley was invited on behalf of the Welsh Government to help explain to other companies how they have managed to export to over 20 countries in the past 8 years. 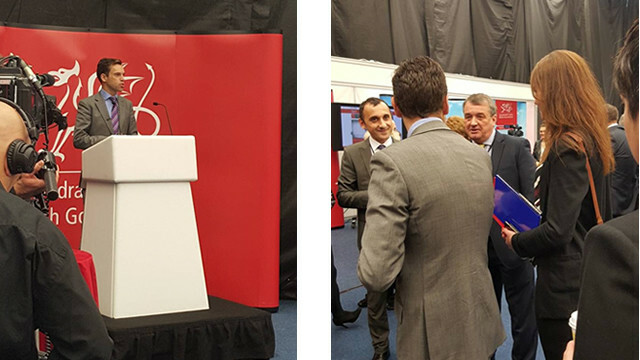 Three members of the Buckley team travelled to Cardiff to help the Welsh Government encourage other businesses to expand their international business opportunities. A stand was set up to showcase the types of products they have exported. Buckley’s Managing Director, Steve Dransfield, was interviewed for BBC Wales and as part of the Welsh Government plans to encourage more Welsh Companies to export. Steve Dransfield was introduced to the Deputy Minister for Culture, Sport and Tourism, Ken Skates, and discussed the invaluable assistance that the Welsh Governments Business Team has provided to Buckley Industrial. A great deal of interest was generated at the stand and the Buckley team managed to share their exporting knowledge with various companies, as well as meeting some of the market specialists from the British Embassies.